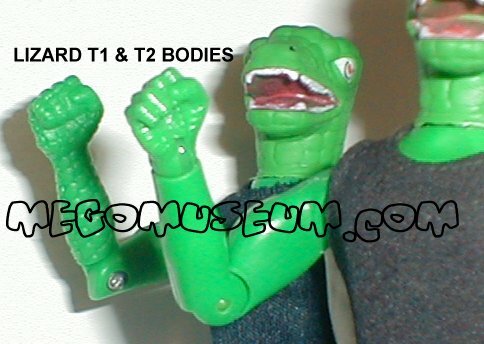 Most of the figures in this release are truly the signs of a company on top it’s game, the Lizard is no exception. 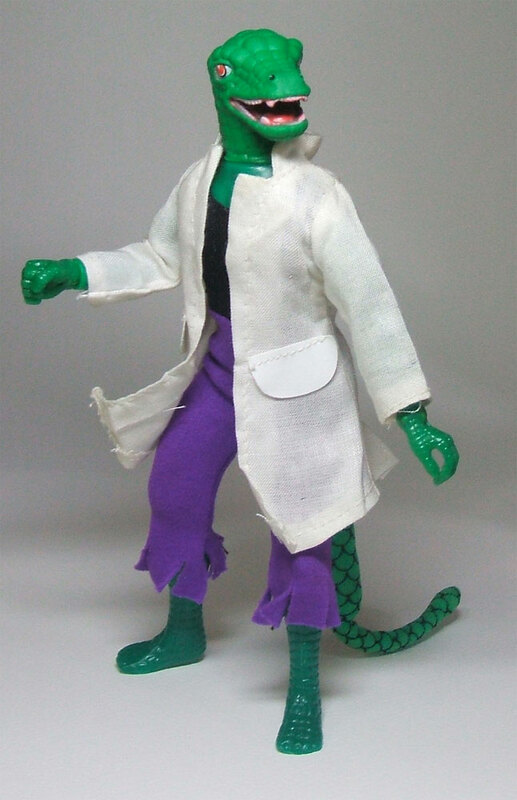 The character features a bodysuit with tail, removable labcoat (often found missing) and uniquely sculpted hands and feet, one hand is even a fist! The head, of course was later used with mixed results in the Mego Star Trek Gorn figure. 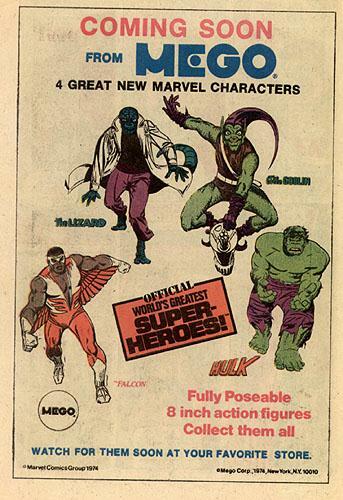 The Lizard is only one of two Marvel Bad guys, the other being Green Goblin. The Lizard box is the much easier to find than it’s carded counterpart. The source for the wonderful action pose can be traced back to it’s Comic Book Origins . This box bears the old Mego logo. 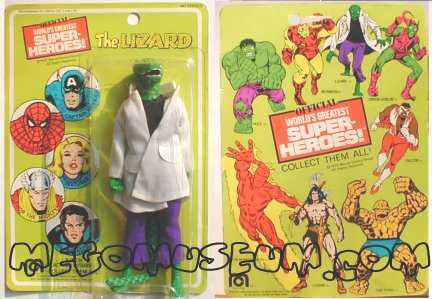 Note also that the word “The” on the front lays on top of the Lizard word. This was corrected on the later box. 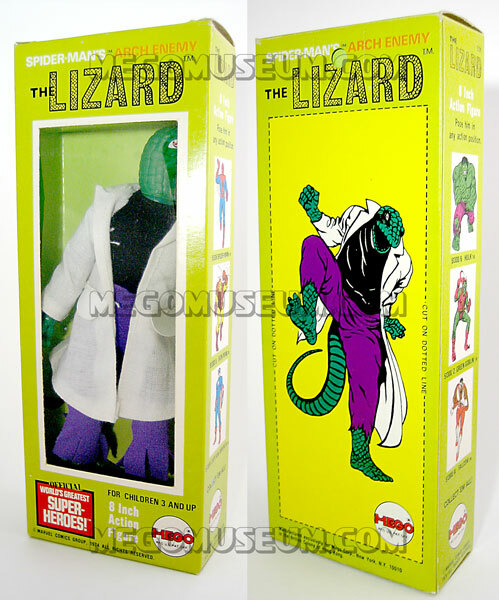 Mego Lizard on it’s standard US card, one of the most difficult Mego WGSH cards to find. 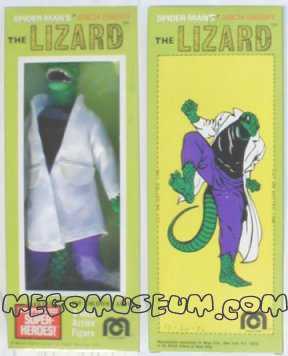 Lizard was not available on a Kresge Card although Palitoy did release a standard Lizard card as well. 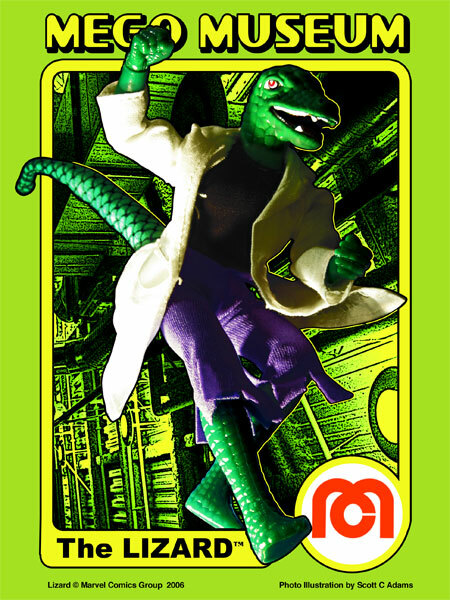 The Lizard only came on the 1975 dated card. 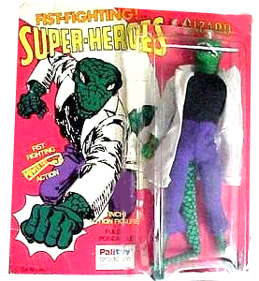 Palitoy added the Lizard to their expanded Mego Fist Fighters line in the UK. He’s the only Marvel bad guy in the lot. 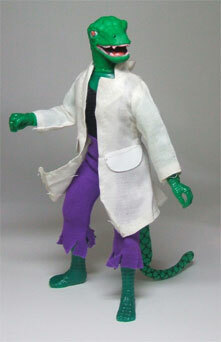 Doctor Mego makes a reproduction of the Lizards lab coat. It is about as dead on as you can get. 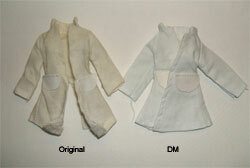 The material is just a touch thicker, and of course it’s new so it’s bright white. The biggest difference is the pockets. The reproduction uses a thicker foam-like material where the original uses thin vinyl. 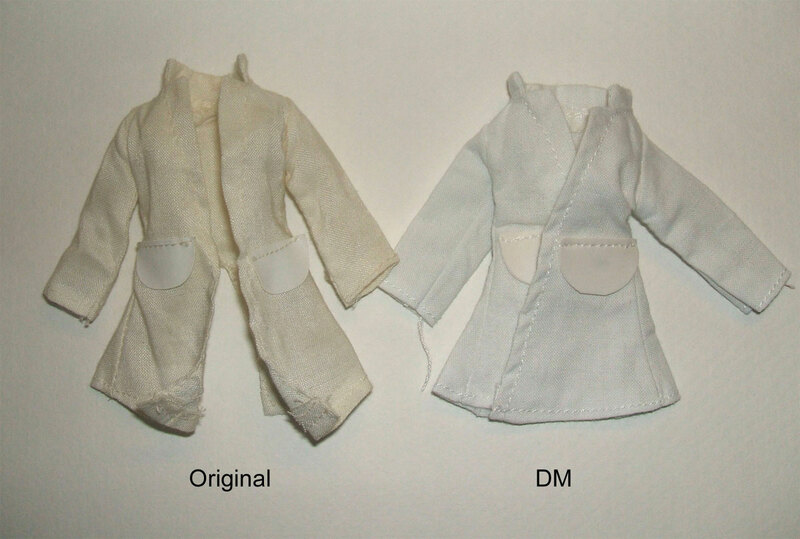 It is marked DM on the underside of the pocket material.